Laura Lippman meets Megan Abbott in this suspenseful mystery debut set in the aftermath of a violent crime—for “fans of crime fiction wanting literary flair and emotional depth” (Publishers Weekly, starred review). After her elderly neighbor is murdered, Amy Unger, a fledgling artist and cancer survivor, takes to the canvas in an effort to make sense of her neighbor’s death. Painting helps Amy recover from the devastating illness that ended her marriage and left her life in ruin. But when her paintings prove to be too realistic, her neighbors grow suspicious, and the murderer, still lurking, finds his way to her door. Bernard White, a widower who has isolated himself for years after a family scandal, can’t stop thinking about the murder of an old friend—and what it means for his fellow octogenarians as the death toll rises. He convinces the neighborhood’s geriatric residents to band together to protect one another. But the Originals, as they are known, can’t live together forever. As it is, Bernard is pressing his luck with the woman he’s moved in with. Maddie Lowe is a teenager trying to balance her waitressing job and keeping her family intact after the disappearance of her mother, even as their neighborhood becomes more dangerous by the second. She has information crucial to solving the crime. But she doesn’t realize it–until it’s almost too late. The house was not particularly bright. The curtains were drawn and the furniture dark, the appliances brown. Pictures in equally dark frames lined the walls and covered tabletops and shelves. Her favorite, the one from her wedding, had overturned during the struggle and fallen to the floor. So her husband, handsome in his military blues, had not seen her get struck with the heavy cast iron kettle he’d given her for their sixth wedding anniversary. But the others could see her just fine. Her sisters and brothers, children and grandchildren, parents and friends, could all see her now—her mouth agape, her blood staining the cold terrazzo floor. An hour after the egg timer began to buzz, the oven started to smoke. Smoke streamed from the oven and drifted from room to room, touring the three-bedroom ranch the way a guest might. The smoke found the house’s corners, its closets, its secret places, but did not trigger any of its five smoke detectors, which watched the smoke without warning of its arrival. When the house was nearly black with it, smoke exited slowly through the cracked mechanics of the house’s old, jalousie-style windows. It poured from the house in thin, steady streams, appearing to lift it from its foundation, as if on strings. 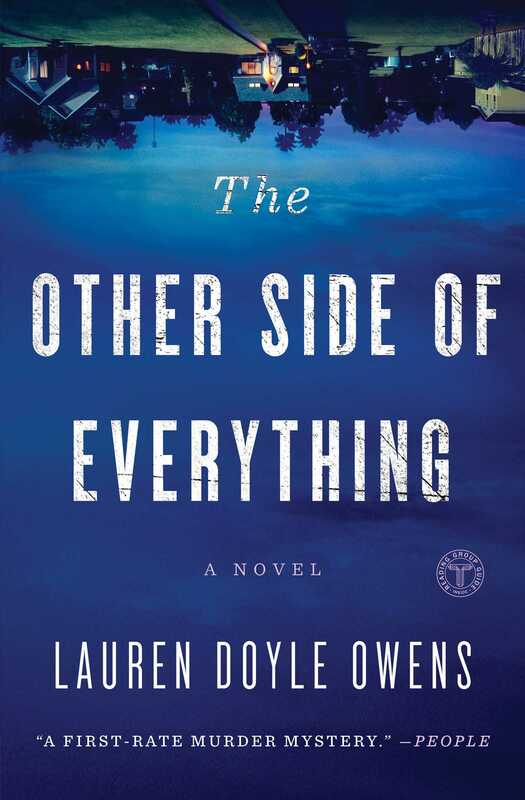 This reading group guide for The Other Side of Everything includes an introduction, discussion questions, ideas for enhancing your book club, and a Q&A with author Lauren Doyle Owens. The suggested questions are intended to help your reading group find new and interesting angles and topics for your discussion. We hope that these ideas will enrich your conversation and increase your enjoyment of the book. In this suspenseful literary debut, three generations of neighbors in a Florida neighborhood find their lives intersecting in the aftermath of a murder. Bernard White is a reclusive, curmudgeonly widower. When his neighbor is murdered, he emerges from his solitude to reconnect with his fellow octogenarians. Amy Unger is an artist and cancer survivor who begins to paint imagined scenes from the murder. But when her paintings prove to be too realistic, her neighbors grow suspicious, and she soon finds herself catching the attention of the police. And then there’s Maddie Lowe, a teenage waitress whose mother recently abandoned the family. As Maddie struggles to maintain the appearance of normal teenage life, she finds herself drawn to the man the police say is the killer. As they navigate their increasingly dangerous and tumultuous worlds, Bernard, Amy, and Maddie begin to uncover the connections between them—and the past and present—in a novel that ultimately proves the power of tragedy to spark renewal. 1. The author opens the novel with a gruesome scene. What details stood out to you and why? 2. What do you think about Amy’s reaction to news about Adel’s death? What does this tell you about her character? 3. Describe Bernard’s general outlook. How does he view his past? 4. What kind of losses are Bernard, Amy, and Maddie dealing with? How does each character cope? 5. How did Amy’s cancer affect her relationship with her husband? Who’s to blame? How would you describe their final conversation before he left for San Juan? 6. During her cancer treatments, Amy avoided a certain activity. What did she do and what sparked her inspiration to begin again? Do you consider the source of her inspiration normal? 7. Bernard attends Adel’s funeral, sees the women gathered there, and thinks, “It always seemed . . . that they had a heavier burden to carry.” What does this line mean? Given what you know about Bernard, what does this thought say about him? 8. How would you describe Bernard’s feelings for and actions toward Vera? Can you understand his reasoning? Do you think Vera feels the same about him as he does for her? Why or why not? 9. A police detective casually questions Maddie at The Smiling Pig. How would you describe what happens to Maddie’s memory during that scene? 10. After watching Adel’s house for so long, Amy decides to break in. What is she trying to find, and what does she actually see when she’s there? What was your reaction to Amy’s actions in that chapter? 11. Who are the “originals”? What do they devise at their neighborhood meeting, and do you believe this system will be effective? 12. Bernard stays with Maryanne. How does this arrangement begin to change Bernard? What does it make him think about? 13. What do you think about the party scene with Maddie and Nate? Why was it shown to us? How did that scene affect your impression of Nate? 14. Review the scene where Amy begins to paint her captor. How does her impression of this person change? How would you describe the captor? 1. Think back to when you were Maddie’s age. What were you like? Do you understand her actions with Nate? With Charlie? 2. The characters in The Other Side of Everything are haunted by their pasts and memories. What continues to haunt you and how do you cope with these feelings? 3. There are many types of transgressions in this novel. Are any forgivable? Which ones would you say are forgivable and which ones are unforgiveable? 4. In reaction to the murders in the neighborhood, Bernard begins to interact with his neighbors, who all seem to lead separate lives now. Try reconnecting with your neighbors and introduce yourself to new ones. You did a remarkable job setting up the neighborhood and letting us see all of its mundane activities. But you’re also adept at infusing the setting with a sinister atmosphere. What led you to choose this type of setting? I had always wanted to tell a story set in a neighborhood, where people who have seemingly nothing in common have to come together in some way. The year 2008 was a devastating one for me personally and for our country at large. The housing crisis hit my neighborhood west of Fort Lauderdale, Florida, particularly hard. As I struggled to cope with my own losses, I started to look around and see loss everywhere. People were being foreclosed on and houses were being abandoned. The sinister details in the novel were lifted right from that time. I don’t think there’s a single detail from the novel that I didn’t observe somewhere. I had the idea to set up a tripod and take pictures of the abandoned houses around here, but I didn’t have the guts to go through with it. Instead, I sat at home and wrote about what I saw. We’d love to know about your writing process behind this book. How long did it take for you to get the story on the page? When you began writing, did you know how the story would end? The novel took six years from start to finish. I was writing from points of view of the characters in 2009, and later that year, I flew to Austin to produce some artist interviews at Austin City Limits. I plotted the entire novel between the time it took to fly from Fort Lauderdale to Austin. The remaining five years were spent just trying to get the story right. Do you find that there are themes that recur in your writing? Oh yes. I’ve struggled with depression and loneliness throughout my life, and I think that a lot of my work has been about what it’s like to move through life as a depressed person. At the same time, more recent issues I’ve been grappling with in my personal life—including whether or not to have a child and what it means to be a mother—have colored my work. The challenge, I think, is writing about these things in a way that doesn’t weigh down the story. Your characters are of all different ages. Why did you choose these perspectives? Did you have a hard time writing from the perspective of a teenager? An octogenarian? There’s a universality between people of different ages, and even different genders, that we forget. We, or maybe the media, put ourselves in different buckets—I’m a woman, I’m a millennial, I’m a Sagittarius—therefore I must think about things a certain way. Underneath all of that, though, I’m a human being, and human beings are remarkably similar. I really think that with a certain amount of empathy and imagination, anyone can put themselves in the lives of others. As a writer, I just have more practice. Memory comes up many times throughout the novel. What’s your fascination with memory? I think it’s more of a fascination with the past than a fascination with memory. And not even the past so much as the factors that contributed to the worlds and the lives around us. I’m always wondering how did we get here? or why are we this way? To answer that, you have to go back to the beginning, or some beginning. I have a very good memory, so I’m able to go back to see my own defining moments, and I guess being able to see them is helpful as a writer, because I can more easily imagine someone else’s. What were your favorite moments in the novel? To get home, I drive over the bridge where Maddie lost her virginity. That entire scene—the lights of the airplanes coming in for landing, the slow-moving canal, the force of the cars as they drove past—is something I relive, at least emotionally, each time I’m in the car driving home. It’s almost as if, for me, the ghosts of Maddie and Nate are still under that bridge. What are your reading tastes? What are you reading right now? Do you have a writer you admire? I read widely, but particularly love literary fiction and memoir. I just read The Fact of a Body by Alexandria Marzano-Lesnevich and it really blew me away. What do you think happens to the characters after the end of the book? I like to think that the characters who come together at the end of the book stay together, that they form a kind of family, that they’re able to be for each other what each one was missing at the beginning of the novel. I’m working on a novel about a trio of women who don’t yet know that they are sisters. Their lives are very different from one another’s, so it explores the choices that women make, and how they live with those choices. Intriguing and expertly paced, The Other Side of Everything is a tantalizing literary thriller you'll want to finish in one sitting. Someone is killing the widows in Seven Springs, Florida. And there are plenty of suspects. The Other Side of Everything is a dazzling, and often unsettling, debut novel full of honesty, charm, and insight, and it is much more than a murder mystery. It will remind you of just why you started reading stories in the first place—to be transported to a world more vivid and compelling than the one you’re living in. Lauren Doyle Owens has an expansive heart, a keen eye, and a lyrical voice. This sorry of loneliness, loss, compassion, and renewal will carry you away. Lauren Doyle Owen’s illuminating novel shows us the power of community to both bind and separate. Its multi-generational characters shift between internal demons and a real-world killer, looking for connection. The beauty of the story lies in its ability to find hope in tragedy. A wonderful read! The Other Side of Everything is a riveting murder mystery that also, amid all the fabulous mayhem, offers a tender, empathetic exploration of what it’s like to stand at life’s two great precipices: adolescence and old age. You won’t be able to put it down, and after you turn the last page you won’t forget its characters, young and old, who struggle to find the seeds of renewal in the shadow of tragedy. This is a fantastic debut. [A] tense, rich debut....Owens impressively captures the emotional landscape of three generations and the varying compromises required of women in each. Fans of crime fiction wanting literary flair and emotional depth will gladly follow this trio of complicated characters. A slow burning thriller that explores the cost of love turned askew. Each character’s reaction to the murders, as well as how the invasion of violence galvanizes the neighborhood, creates a solid plot. Each realizes a strength, as well as a vulnerability, they didn’t know they had. Owens delivers a quiet mystery in The Other Side of Everything that expertly uncovers the emotional depth of each character… A terrific debut. Lauren Doyle Owens… is someone to watch. 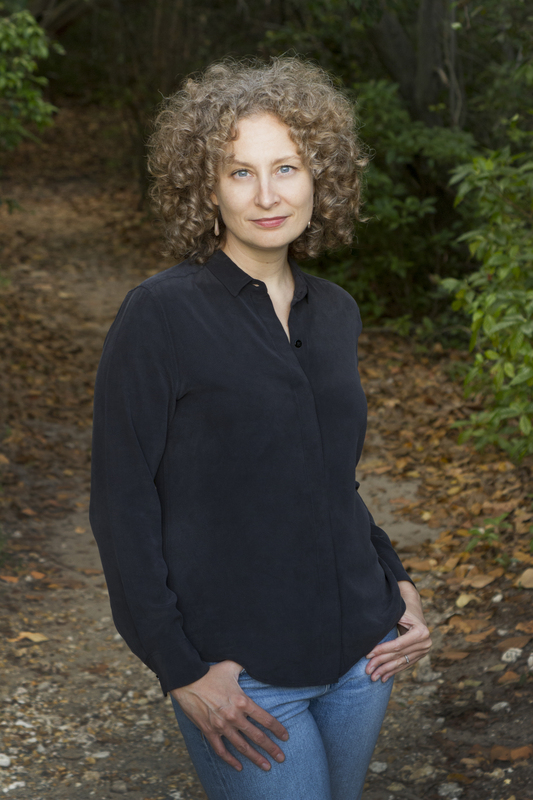 Her stunning literary murder mystery debut is at once a nail-biter and a brilliantly nuanced evocation of how communities work and don’t work….Ms. Owens builds a vibrantly realized world spreading across three generations. She traces the ebbs and flows of individual and collective destinies, her narrative charged by a lyricism that is constantly evocative and revealing. A large cast of well-drawn supporting characters reinforces the themes of connectedness and renewal. This is a remarkable debut by a distinctive talent of great promise.